Even in the darkness, it’s easy to piece together what happened. 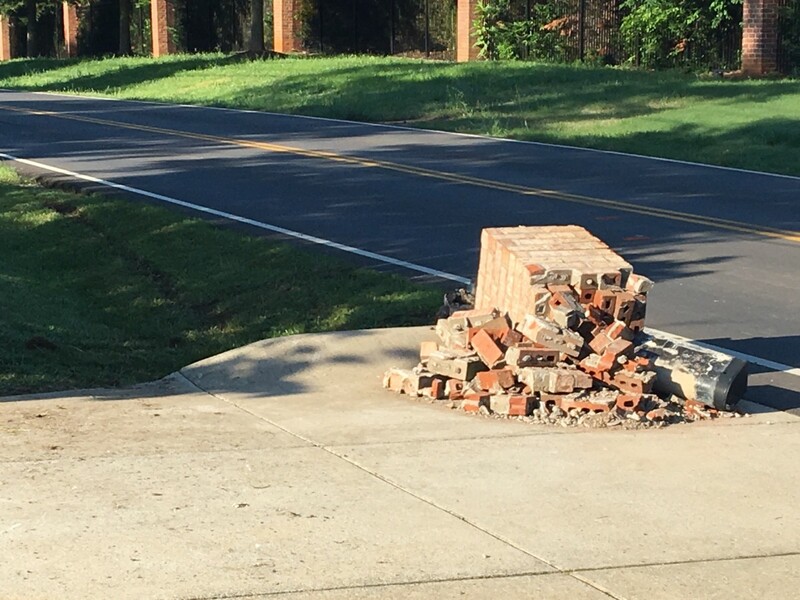 He skidded off the road and slammed into a concrete culvert and a brick mailbox. His wife, riding with him on a separate bike, probably watched it happen. Now my whole family is in the road. My daughter Emily, who heard the crash and the screams for help from an open window upstairs, is sitting with the woman rubbing her back making sure she knows she’s not alone. Help is on the way. My other daughter Megan, who happened to be driving behind the accident, is talking to police about what she saw. My wife is directing traffic. We hear sirens in the distance. Help. We tell his wife that he’s breathing. I’m not sure he is. I think she’s losing her husband in front of all of us. What can I do? I kneel down over the man and pray. Then I feel a person touch my shoulder and pray with me, then another. The sirens grow louder. Police lights get closer. Hope is here. My prayer in the road is clumsy. I’m not sure what to say. Neighbors gather around and I pray out loud. I thank God for Robert’s life and I ask for total healing. I ask that his broken body be made new. A half hour later, an officer comes to our door. Robert died. But what about our prayers? What about his wife’s tearful plea? Wasn’t God listening? I felt Him there on the road with us; I know I did. I even pictured us all talking about this with Robert when he got better. A grim-faced officer shakes his head, “He didn’t make it.” I think of the people in my life who tell me faith is ridiculous—that prayer is a waste of breath. There is no God. Then I recall the lyrics of my favorite Jeremy Camp song. He didn’t make it? Oh, I think he did. Today that darkened road is just a memory. It feels like a dream. Each new day is a gift. Life forever changes and faith remains.